US envoy tells Mahmoud Abbas' spokesman: Either work on peace and/or work on helping Palestinians. US Special Envoy for International Negotiations Jason Greenblatt on Friday fired back at Palestinian Authority (PA) chairman Mahmoud Abbas’ spokesman, Nabil Abu Rudeineh, after the spokesman bemoaned the US cut in aid to the PA.
Greenblatt responded in a series of tweets in which he said Abu Rudeineh’s comment was disingenuous. “1st: This aid was cut (not just suspended) at the PA’s request because they didn’t want to be subject to US courts which would require them to pay US citizens killed by Palestinian terrorists when the PA was found guilty,” he wrote. “2nd: The PA has $ for health/education- but must use their $ wisely. Example: stop rewarding terrorists who kill Israelis. That will save the PA a fortune. They can also work with the US & others to help improve their economy and need even less foreign aid,” continued Greenblatt. “4th: Threats about increasing instability if the PA doesn’t get what it wants (in this case money) are also tiresome, not just to the US, but to most countries around the world that I’ve spoken to in the past 2 years,” wrote Greenblatt. Indeed, the PA requested that the US cut the aid to avoid any lawsuits against the PA leadership under the Anti-Terrorism Clarification Act (ATCA) passed last year by the US Congress and which went into force on Friday. The ATCA legislation provides for any government that receives funding to be subject to US counterterrorism laws. The PA faces potential lawsuits from families of American victims of past Palestinian attacks. 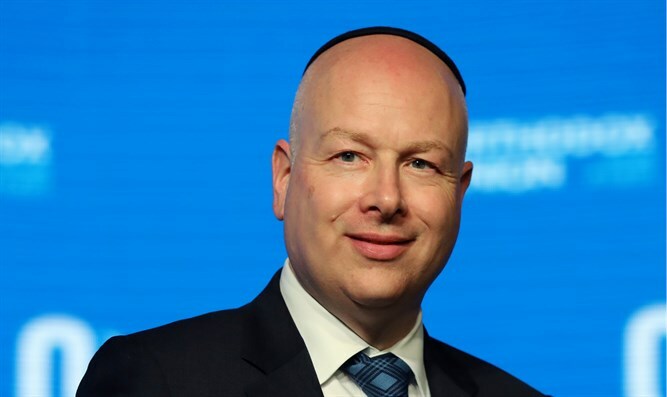 Greenblatt is one of the US officials working on a peace plan for Israel and the PA, which the PA has rejected before it has been made public. He has repeatedly criticized PA officials for choosing to pay terrorists and their families and for refusing to sit down for talks with Israel. “Another commitment President Trump has made was to work to see if we can achieve Israeli/Palestinian peace. We are doing that, but no one- no country, group of countries, or international body- can promise to achieve it. You know that; everyone knows that - even if they won’t say it out loud,” he continued. “Peace is worth pursuing and we are committed to trying. You and other leaders can also work hard and see if it can be done. Or you can all continue to prevent the many significant benefits of peace by refusing to engage. The ball is in your court. Time to be credible leaders,” added Greenblatt.